Lynda and Tom – a super nice couple in their 50’s living in the Columbus Ohio burbs (can you say O-H-I-O – yes I’m a OSU Buckeye fan) – came into my showroom with their floor plan for a bathroom remodeling project. They want to make the bathroom larger and have a double bowl vanity top. They are going to increase the size of the window for improved natural light. They plan to move the tub from one side of the room to another to improve the layout. They came to see us to look at grout free tub wall panel options. They told me they decided on a bathtub again because (as everyone knows) you have to have at least one tub in the home (all realtors and many family members backed up the need for at least one tub). Given this “commonly held truth” they planned to keep the tub in the newly remodeled 1st floor bathroom. 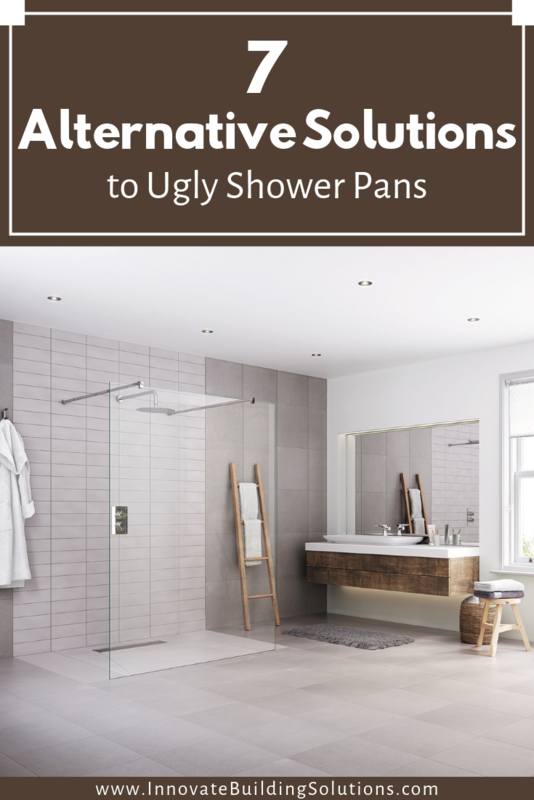 As a nationwide supplier of shower and tub wall panels (and local Cleveland bathroom remodeler) who has worked with countless tub to shower conversions I can’t even think of one time I’ve worked with someone on changing a shower into a tub. “Why the heck is that?” Why are people overwhelmingly getting rid of bathtubs and dusty useless “soaking tubs” home builders insisted on putting in homes in the late 90’s and early 2000’s? 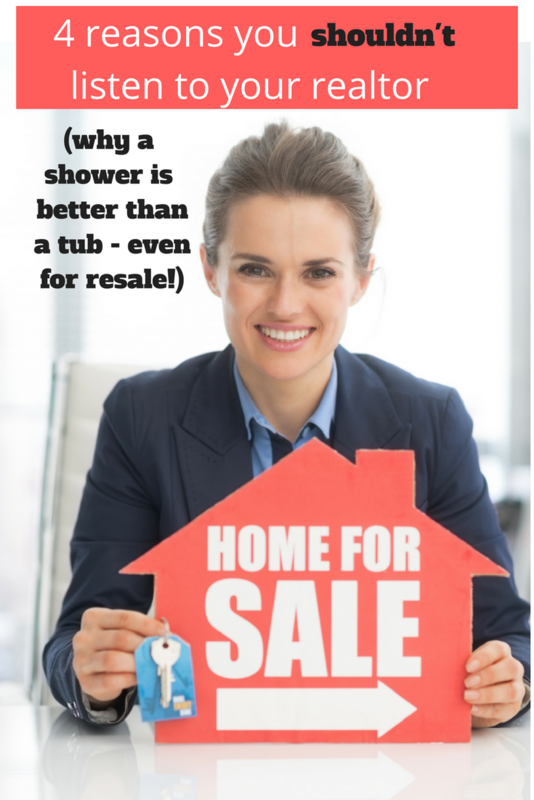 Do you really have to have a tub in a home for resale? Conversely, should you even give a hoot about resale? In this article, I’m going to do two things. 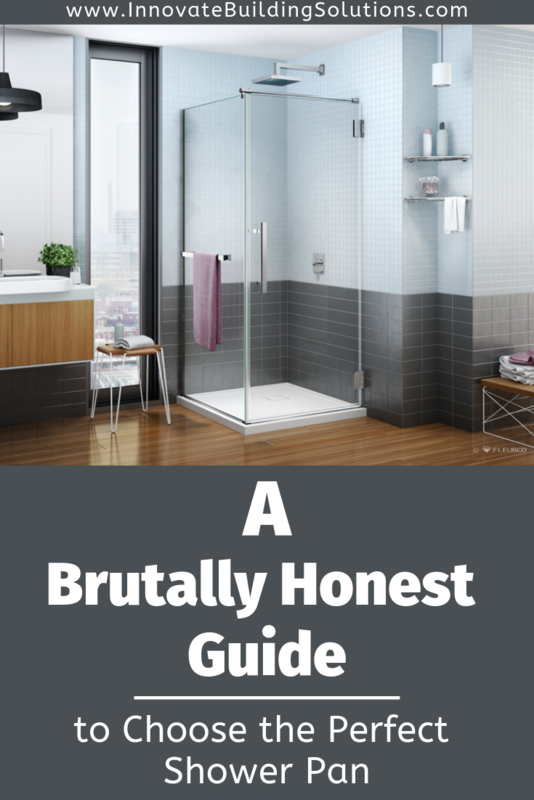 First, I’ll give you 4 good reasons a shower is a better option than a tub. 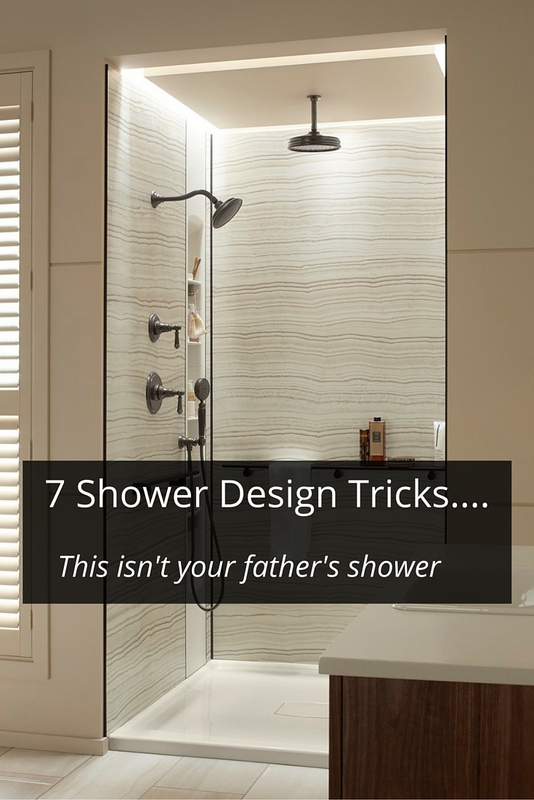 Second, I’ll offer up 7 practical advantages of a shower over a tub. At the end of the article I’d love to hear your arguments and if you think I’m a bit nuts (yes – even my wife, kids and fellow co-workers would say I resemble this remark from time to time!). As Marilyn told me when she stopped into our showroom. “Mike this isn’t my first shower rodeo. When we were younger (yes, my hair was darker) Bill and I bought a fixer-upper special as our first house. The existing shower was a mess. We visited the guy in the orange smock at our local home center store. We settled on a flimsy, generic fiberglass shower kit and installed it ourselves because there was no way we could pay a contractor. Within a couple of years, it looked dingy and yellow. Now things will be different. We’ve finally got the kids “mostly off the payroll” Not yet in the job of their dreams, but they are working – and we’re not “funding” them. 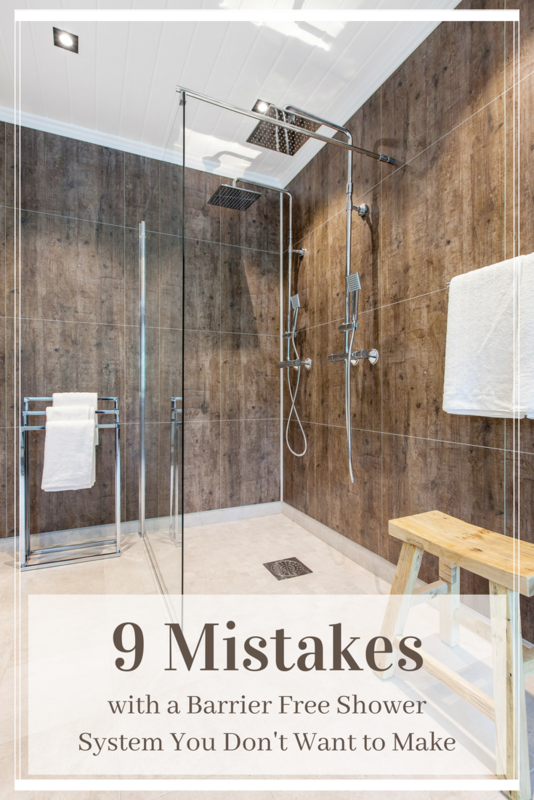 It’s now time to put some enjoyment (and cut down maintenance – BIG TIME) into this bathroom remodeling project. We want low maintenance just the low-budget shower kit we bought back in the day. Now we’re savvier and aren’t going to settle for junk! 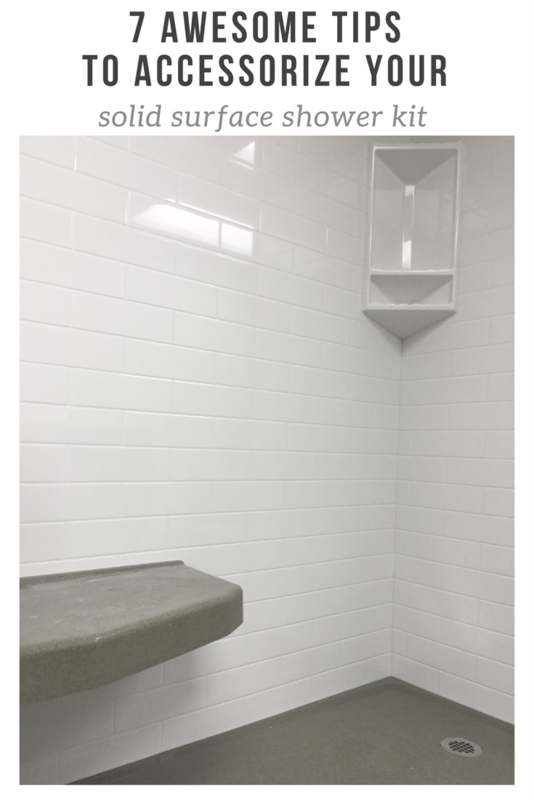 We’ve done our research and keep coming back to the solid surface shower kits as the best option for us. Bill likes the 3/8” thick walls and the fact that the shower pan is built like a tank. But I’m looking at different things. Can you relate to what Marilyn was telling me? 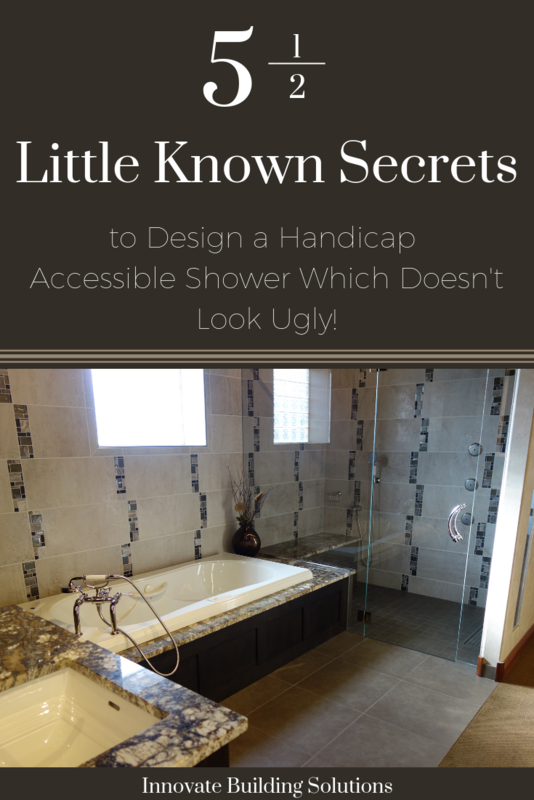 In the article below check out 7 tips I shared with Marilyn to dress up her solid surface shower. I’ll give this warning right up front and apologize to Marilyn’s husband Bill. 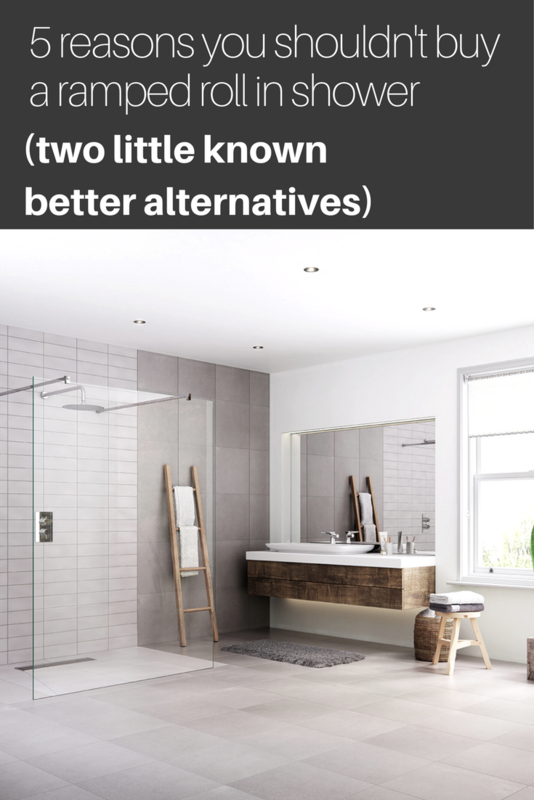 This shower project will get a bit pricier with these solid surface shower accessory tips I’m going to give!